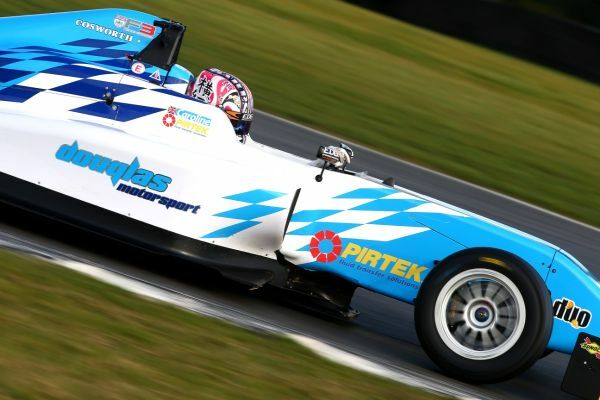 Pirtek Racing’s young gun Jamie Caroline provided further indication of his talents with an impressive performance on his BRDC British Formula 3 debut at Snetterton. 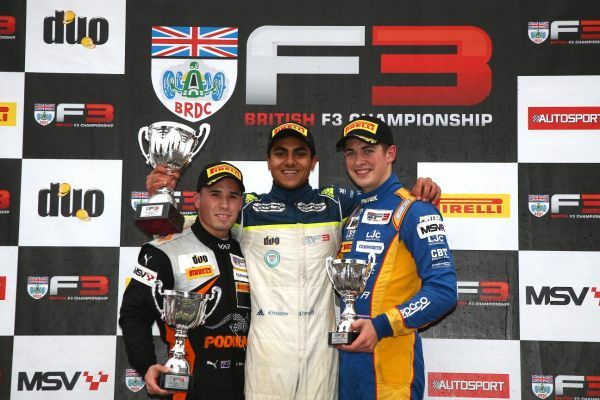 Fresh from a top ten championship finish in the F4 British Championship this season, Jamie signed up with the Douglas Motorsport team for an assault on BRDC British F3’s Autumn Trophy, which was due to be held across four races at the Norfolk circuit (29/30 October). Despite only having limited time on track going into the weekend, Jamie qualified just six-tenths of a second away from pole position and then stayed out of trouble in the opening twelve lap race on Saturday to secure eighth place. Jamie followed that up with ninth place in race two, with the experience gained leaving him in confident mood going into rounds three and four, which were due to be held on Sunday. Heavy fog at the circuit on Sunday morning meant officials were forced to abandon qualifying, with the grid for race three instead being determined by championship order. Starting from sixth on the grid as a result, Jamie made a solid start to jump up to fourth off the line and by the end of the opening lap, had worked his way into a podium position. Following an early Safety Car period, Jamie was able to maintain his place through to the chequered flag to take third spot, which was enough to wrap up fifth place in the championship standings when worsening weather conditions led to the cancellation of race four. “It turned out to be a really good weekend,” Jamie said afterwards, “especially as I’d only sat in the car for a day going into the weekend and didn’t have as much experience of the F3 car as the other drivers. “I felt a lot more comfortable after the first two races and my start played a big part in getting onto the podium in race three. The pace in the car was good and I felt confident that we could push for the podium again in race four before it was cancelled. Jamie’s Snetterton performance marked the second time he had taken to the podium since the conclusion of his British F4 programme, having taken a third place finish in the final rounds of the British Rallycross Championship earlier this month, where he drove the ‘guest’ car in the RX150 class.